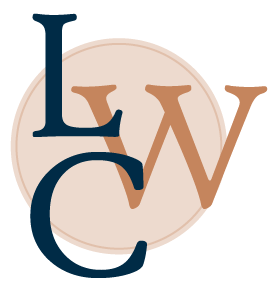 The community of London Writers’ Club includes many different nationalities of writers and we were delighted to meet Dania El Kadi at the last LWC live event. Dania was born in Georgia, USA, grew up in Beirut and has lived in Brussels, Kuwait, Dubai and now London. Her first full length novel “Summer Blast”, a story based in Beirut Dubai and New York was published in March 2011 in Lebanon and was a bestseller there and will be launched in the UK this month. Her short novel, Un Chemin Sur Son Front, was published in Paris by “Éditions Caractères”. She has also contributed articles to leading Arabic dailies. Dania has written the following guest blog for us. Do support her at her book signing – details at the end of the blog. In the summer of 2006, sixteen years after the end of the civil war, yet another conflict broke out in Lebanon. Thousands of people were killed or displaced and much of the infrastructure destroyed. I lived in Dubai at the time and called my family and friends in Beirut as often as I could. During one of those calls, a friend sounded a long way off the horrors I was following on the news when she complained about missing her wedding dress fitting because of air raids. I have to admit I was a little shocked: her life was at risk, the economy had crashed, her employer had stopped paying her salary, but all she cared about was a dress? Didn’t she mind the death, the destruction, the fact that this new war was dragging the country back by decades? But I flashed back to my own concerns while I was growing up in the civil war: focusing on seemingly trivial things in difficult times is about trying to maintain a sense of normalcy. When your life gets hijacked time and over again by politicians and warlords, your only defence is to take that life back into your own hands and carry on. That’s where the idea for “Summer Blast” came from: I thought I could use fiction to tell the story of modern women facing the age old challenge of surviving in a man’s war thanks to their humour and courage. When I started writing, I knew the chances of getting published were tiny but I figured it would make a good pdf to circulate to family and friends and laugh about the ironies of our life. Thanks to online author communities (mainly Authonomy), the support of a writing coach in London (Debi Alper) and an introduction by a columnist friend in Beirut (Anissa Rafeh), I was able to finish the novel and receive an offer from Turning Point, a leading publisher in Lebanon. We launched Summer Blast at the Abu Dhabi International Book Fair, and my little book went on to become a best seller in Lebanon. My heart stopped every time a reader got in touch to tell me how much they related to the story. Now that we’re about to launch it in London, I feel like my characters and I are small town girls coming to the big city of publishing. I’m lucky and grateful to have this opportunity and my hope, since I have a chance of being read by Westerners, is to challenge stereotypes and help show that like everyone else, Arab women just want to have fun. 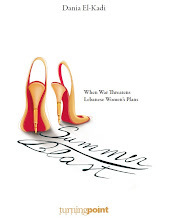 “Summer Blast” tells the story of three Lebanese women who have their summer planned out: Maya is finalizing her wedding preparations, Rouba is about to travel to Kuwait to get divorced and Elyssar is on the verge of making a lifelong dream come true: see Madonna in concert in Paris. When war erupts between Lebanese factions and the Israeli army, leaving Lebanon cut off from the world, the girls find that politicians may have just warred all over their plans. Determined to pursue their dreams, all three characters carry on, trying to steer their original courses as best they can. Bomb-dodging, land and sea evacuations, confronting obstinate ex-husbands and handling straying boyfriends are some of the misadventures. Dania will be signing “Summer Blast” at Balans restaurant, 187 Kensington High Street on 12 October, between 6:30 and 8:30 p.m.